​​Quantifying the formation of secondary organic aerosol (SOA) formed through cloud chemistry and cloud droplet evaporation. ​Quantifying the formation of secondary organic aerosol (SOA) formed through cloud chemistry and cloud droplet evaporation. 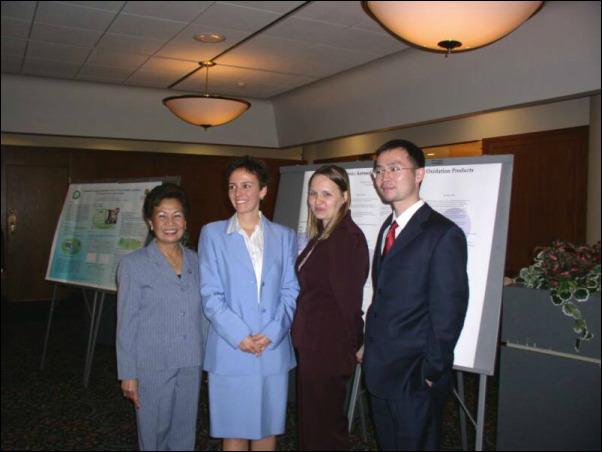 2004 Award Presentation Ceremony L-R; A&WMA International President Edith Ardiente and APERG Scholars Ann Marie Carlton, Agnieszka Connor, and Feng Qiao. 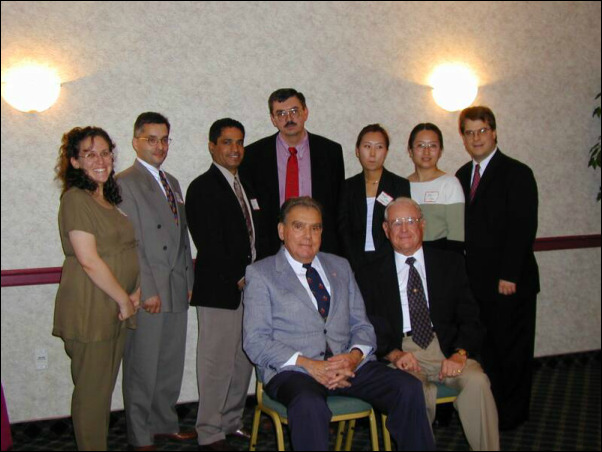 2001 Award Ceremony. Back Row L-R, APERG Committee Award Ceremony Coordinator Dr. Lisa Huguenin, APERG Awardees Georgios Athanassiadis, Dr. Hazi, Dr. Hunter, Young-Ji Han, Shu Yan, and APERG Committee Chairman Jim Blando, Front Row L-R: APERG Committee Members Dr. Ray Manganelli, and Dr. Joe Soporowski. 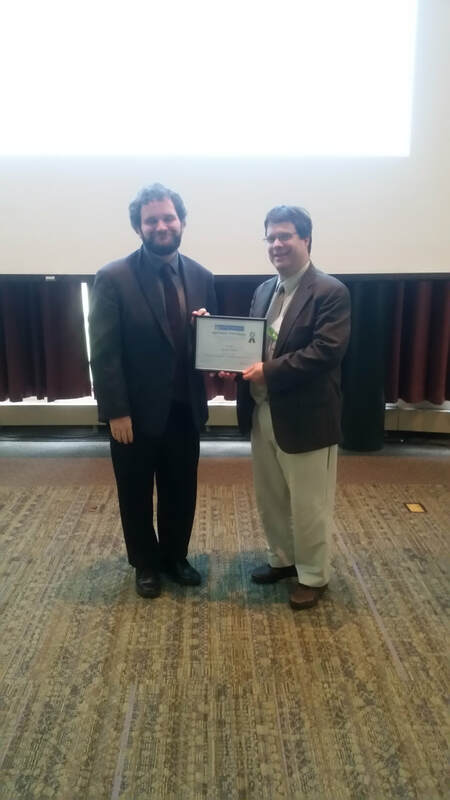 2017 Award Ceremony during the MASS A&WMA Ozone Workshop at Rutgers University. Jim Blando presenting the 2017 APERG Award to Mohamed Vilcassim from New York University. October 12, 2017. 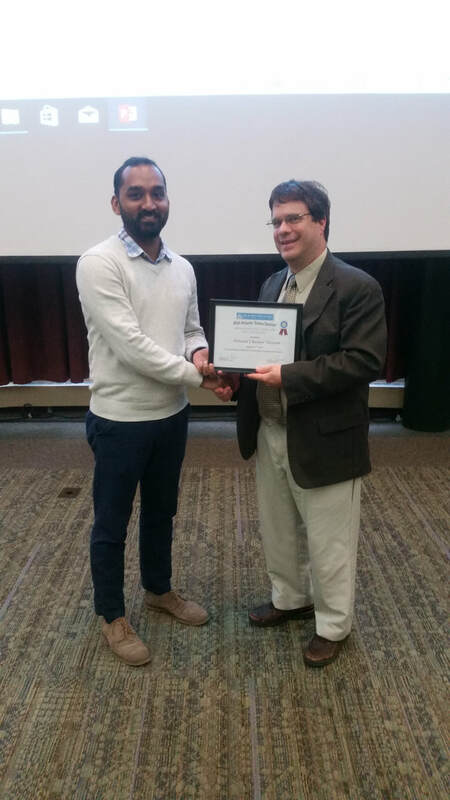 2017 Award Ceremony during the MASS A&WMA Ozone Workshop at Rutgers University. Jim Blando presenting the 2017 APERG Award to Kevin Dillion from Rutgers University. October 12, 2017.